We designed our new Niwaki Toolbag especially for the travelling pruner. Internal dividers create space for up to four pairs of long shears or loppers, with two smaller compartments for other tools. 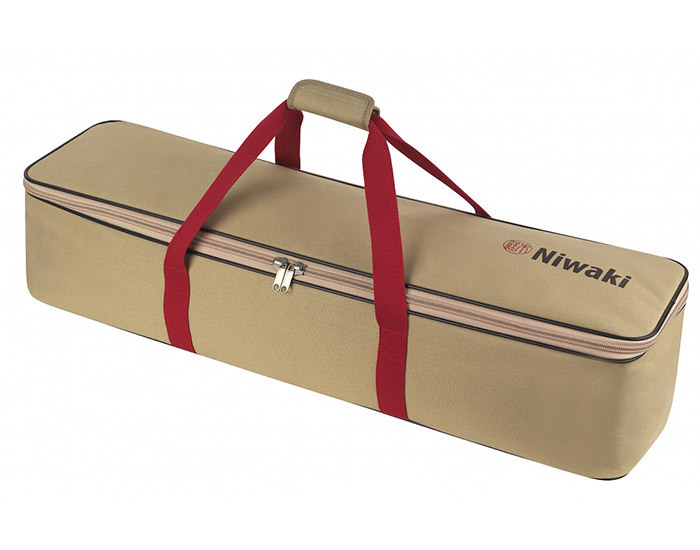 The padded, water resistant, hard wearing canvas protects your beloved tools from the elements, while the Niwaki-red carry straps stand out at the luggage carousel. Crucially, it fits perfectly between the wheel arches of a Landrover Defender.